The internet and access to online entertainment have become very prevalent in day to day life, especially for children. Children can often spend more time online interacting with friends than they do in real life. This can be a blessing and a curse to parents trying to create a balance between letting there kids be kids and keeping them safe. 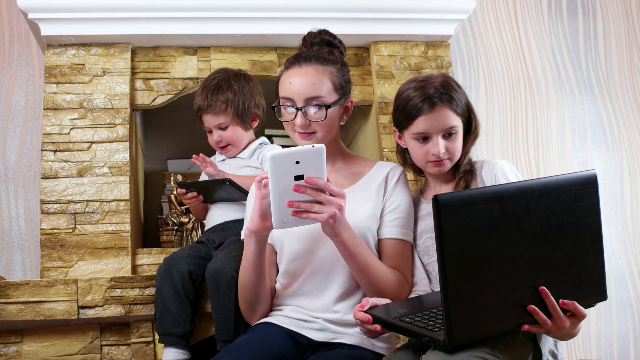 Here are 5 things parents can do to keep their kids safe online. What is your family’s solution for keeping track of your children during this fun Halloween holiday? Fall is in the air. Everything from lattes and candles to church yards has turned into a pumpkin. It’s time to plan for your Halloween parties, costumes, and trick-or-treat routes. Activities will vary based upon the age of your child. For those of you with teenagers, it’s the time of year where they are between childhood and adulthood. Are they trick-or-treating or attending a Halloween party? Regardless of which activity they choose, parents are not always with their children. Teens especially will want to be with a group of friends. This may leave parents wondering is their child safe and are they located where they are supposed to be. 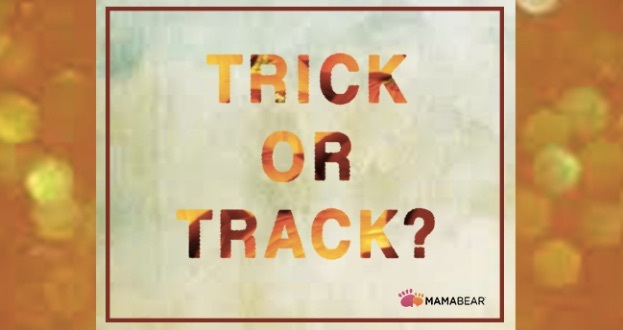 Do you Trick or Track? Although mostly a ton of fun, Halloween can pose dangers for teenagers. This is the time of year when teens start attending parties. They are likely to be exposed to alcohol, drugs, and sexual behavior. Underage drinking is very common among teenagers. According to SADD, nearly three quarters of high school students will consume alcohol by the time they finish their senior year. Being on the road is also a hazardous place to be during Halloween. “In 2015, over half (52%) of all highway fatalities across the nation occurred on Halloween night between 6 p.m. Oct. 31 to 5:59 a.m. Nov. 1 and involved a driver or a motorcycle rider with a BAC of .08 or higher (Traffic Safety Marketing.gov).” Knowing these statistics, it’s hard to let your teenager go off by themselves. Luckily, there is a solution to help your family. With a location services application like the MamaBear App, you can give your teen the freedom they need, and have the peace of mind you deserve. The MamaBear app gives parents the ability to set up places so they will know when their child arrives or leaves a location. The app also allows you to watch photo uploads on your child’s Instagram and other social media platforms. Be sure to turn on your location sharing to offer your child the security of nearby response time. Talk to your teen about Halloween safety. To feel good about giving the MamaBear treat of independence, there isn’t any need to trick your teen. Encourage them to share photos and communicate with you via MamaBear to get them comfortable using the app. Make it fun! ABOUT: The MamaBear App is a leading-edge, mobile, all-in one parenting app that creates a private family communication hub. MamaBear allows you to track your teen’s location, set up boundaries of safe and restricted areas, know how fast they are driving, and monitor their social media messaging. You’re doing your job as a parent. You’re regularly checking your child’s phone to make sure they are using it appropriately, and you’re reviewing their app list to ensure they are only using apps you have approved. But this may not be enough. Kids have found a way around their parent’s smartphone checks and are now storing secret, hidden apps that hide the true contents of their phone. What Is Your Teen Hiding on Their Phone? A new type of smartphone application looks like regular, harmless app, but is actually designed to hide information. What Hidden Apps Are Kids Using? A few of the most popular ghost, secret, and vault apps include the following. Private Photo (Calculator%) — This app looks like a standard calculator app, but once you enter the password, you can access a secret folder where you can store images and files. Private Browser and Photo (calculator%) — This vault app also looks like a calculator. Once you enter the passcode, you can browse the web and your internet history will only be visible in the app. Calculator + Secret Photos App — Another app that appears to be a calculator, this ghost application allows users to store secret photos, passwords, notes, contacts, and browser history. Best Secret Folder — This app claims to be, “Extremely Hard to Notice.” It stores videos and photos in a secret folder that will lock or activate an alarm if an intruder tries to log in. CoverMe (Private Texting & Anonymous Messaging with Secure Phone Calls App) — Designed as a “secure messaging app,” CoverMe provides a private vault that hides personal contacts, messages, call logs, notes, photos, and videos. These are just a few of the hidden apps that are available today, and it is likely that new versions will continue to enter the market. So, what should parents do about it? 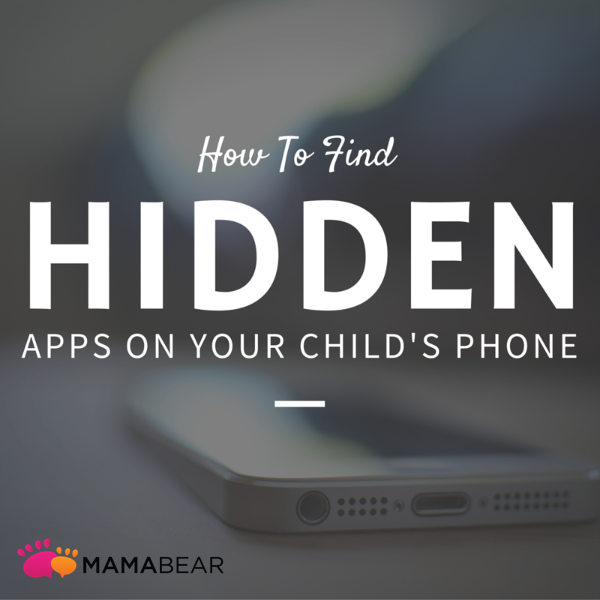 What Can Parents Do About Hidden Apps? The first thing parents need to do is become aware of the situation. Knowing about these apps is the first step in prohibiting their use. “We realize that kids are not one, but ten steps ahead of their parents in term of technology, so parents have to be on guard and become familiar with what is going on,” explained Rania Mankarious of Crime Stoppers of Houston in an interview with ABC Eyewitness News. Next, parents need to take action to stop their children from using these hidden apps. While you may not be able to tell which apps are secretive by browsing the app lists on your child’s phone (as some apps look harmless or may not show on the main screen), you can look at their recent download list. Parents need to regularly review the apps their child has downloaded, and then research the apps so they understand their purpose and function. 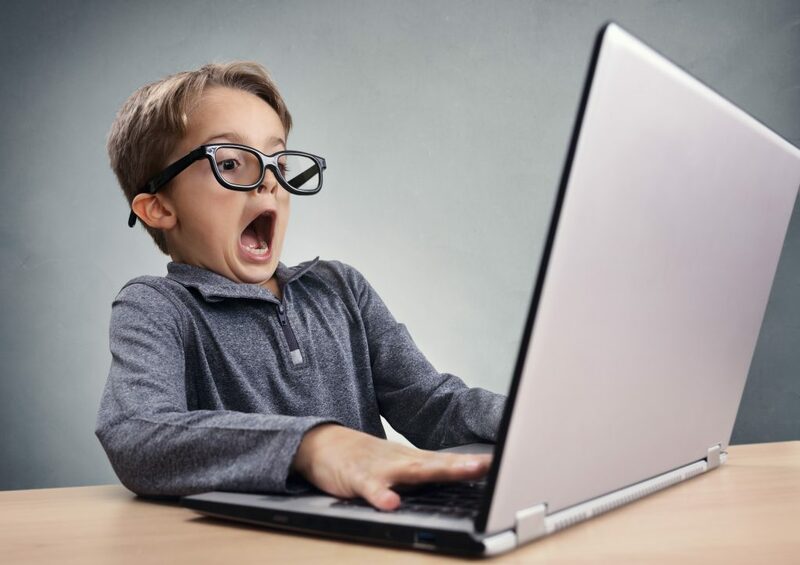 Being proactive and staying connected to your child in their digital world will always be one of the best ways to prevent your child from making dangerous mistakes online. Connecting with your child online is easy with the MamaBear Peace of Mind Parenting™ app that enables you to check your child’s social media activity and texting habits from your phone. The free app which is available for both iPhones and Androids helps you stay in the know about your child’s smartphone habits.